Hi ya’ll! My name is Song. I’ve been a resident of Southern California since the early 2000s. My love and passion for makeup began in my much younger years when I discovered “plastic” makeup and wanted every single piece at Toys R Us! Fast forward to 2006, I decided that I didn’t want to just play with makeup anymore. I invested in private one-on-one lessons, training classes, to seminars at IMATS and conventions and honed my skills year after year. I learned a lot about how intense and life changing makeup can be to a person. I discovered my zest for meeting new folks, collaborating with other artists, enjoying many hours on my feet with laughs and smiles all the way. 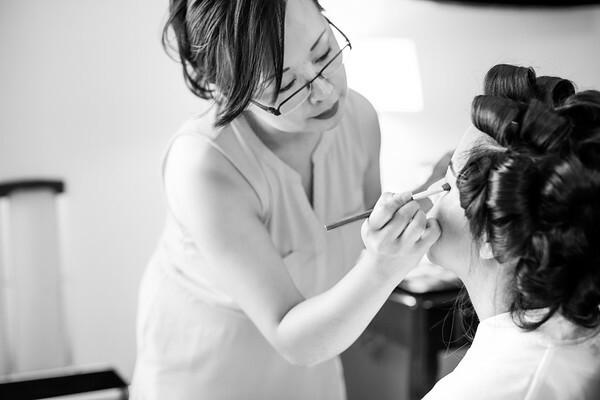 I love being a freelance makeup artist and I have been very fortunate to work with brides, models, singers/actors, and many others who I’ve come to be friends with along the way. I look forward to meeting you and helping you look your best for whatever the occasion is. I will always put forth my best efforts and I greatly appreciate the opportunity you’ve given me. May the makeup be natural and lovely or let’s bring out the vixen in you! Let’s have some fun! See My Brushes At Work! Click the button below to take you to my portfolio.